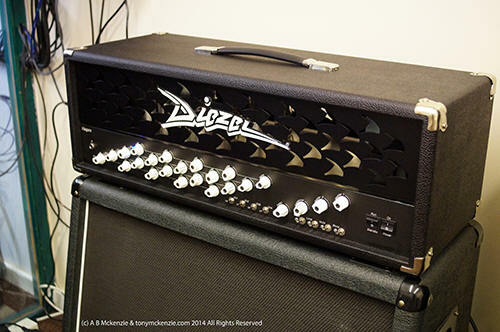 Diezel amplifiers: Can this amp do more than just metal? is the Hagen amp worth the high cost? Can it be anything other than a rock amp? Find out in this inside and out review. A while ago at trade shows I used to see the Diezel brand of guitar amplifiers being demonstrated by very proficient guitarists. But all I ever saw was metal guys playing metal! (well that is what they do LOL). I never paid much attention to Diezel for that reason and because the cost of the Hagen was high. It's a German made amp designed and manufactured in Germany by Peter Diezel... hence the name 'Diezel' amps. 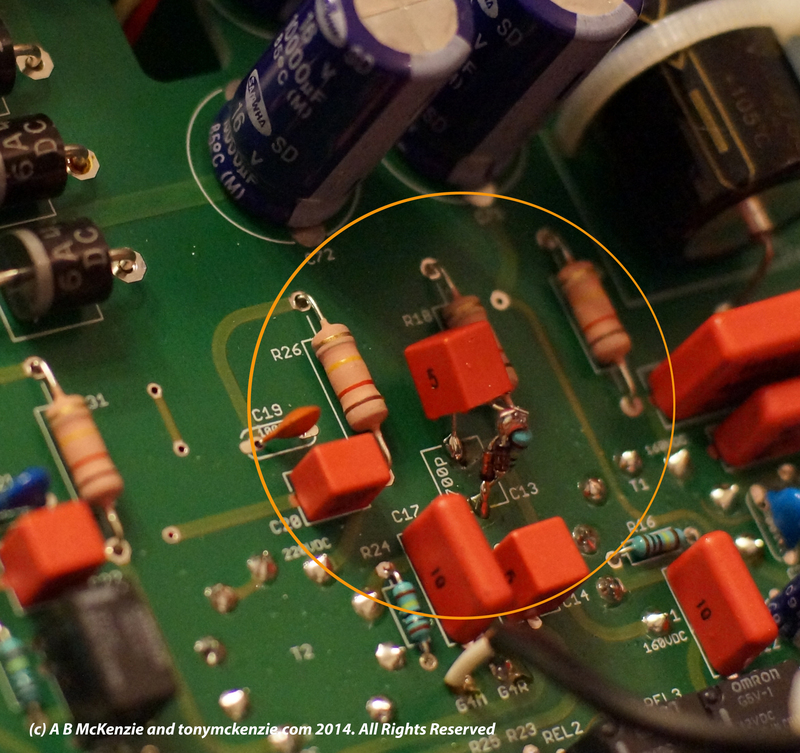 So you might expect that this amplifier is high quality? Anyway, later down the road, I managed to buy one of these Hagen amps because I thought there really has to be more to the Hagen than just metal (actually I like metal, but can't really play it) and I set out to review the amp in a slightly different way than just metal. On first view, the Diezel Hagen tube amplifier looks extremely complex with four rows of switches that maybe someone's demons made on a bad night, but in reality the operation of the amp is really quite simple. So this review will show you the good and the bad of the Hagen amp inside and out as I have done with many other amps under review on this website. Find out if this amp CAN be used for most styles of music and whether it's well made and can cut the mustard on tone? That's the real question... and one you should really research BEFORE you buy one. This review will show you exactly what you get for all that money. There's no better place on the internet to find out from this completely unbiased and independent review exactly what musical equipment is or is not or whether the product is exactly what it claims to be in those glossy ad's or manufacturers video reviews. I buy every unit myself so there's no room for bribery in any form to taint my overall view. In any case Germany is so associated with quality (think BMW,Audi, Merecdes and a load more) that the country has become so linked we all think (go on admit it) that nothing from Germany could be anything than meteoric... and in a sense that is probably true. But with German produce sold everywhere if you are not actually in Germany and are somewhat patriotic then you might just have a different view on things, but of course that would NOT relate to the products from Germany, that's plain old bias towards your own country and that's understandable. When I first got my hands on the Diezel Hagen, I wondered why it takes Germany to get to the top re quality and design, but in reality don't believe that everything German is perfect it is not! I distinctly remember having an Audi R8 V10 at about 1 year old with paint flaking off the front of the car... because it could, oh and there was a very annoying 'tick' about every 5 seconds courtesy of Audi's design of a valve. But let's not digress too much because although the Hagen IS German origin, I won't jump to any conclusions regarding the amp. So let's delve deeper as we always do with these Inside and Out Reviews. Wow this looks hyper complex, right? That's what I thought initially, but in reality it's a simple tube amplifier. Examine the left hand row of knobs... now go from the top and you have channels 1,2,3 and 4 its that simple! So for knob 1, follow them from the left of the amp to the right and those are the control knobs for that channel.... easy peasey as they say. There's also a few switches on the right hand side of the amp at the bottom, but I'll discuss those later as they are all self explanatory. One thing, this is a pretty big amp compared to say something like a JTM45 sized amp and its quite heavy too so if you have a bad back, then make sure the drummer (or the bass guy as I don't want to single out the drummer LOL) carries this amp head in to the gig. What other amps should we compare this Diezel Hagen with? and what other choices are there? When I first tried this amp it reminded me somewhat of the Engl E670 I had, but without all the bells and whistles. I'm talking about the general 'feel' of this amp and its a sort of similar size, also made in good old Germany, costs similar money (but the Engl costs a little more overall) and you can get the Engl with ^l^ or EL34 tubes in there. They both seem high quality without even playing them or opening the amps up (as I always do) so you get this reassuring feel about either amp. And of course there are others from Diezel, Bogner and more that I know you could name all day. But you want a Diezel right? And it's going to be a Hagen. Believe it or not, I was going to buy a Diezel amp but not this one, as lets face it, in my case I have more amps (probably) than Diezel does (I'm joking of course) but eventually I saw this amp for sale on Flea bay (eBay) for about £1650.00. So I asked the seller about it and it turned out that the amp had literally been used as a backup and was turned on just once over the whole time the owner had it for about 10 minutes or so. That has to be the amp to buy right? and at the price there was a good saving over the new one. 'Hagen is Diezel's answer to the needs of today's axe men: a hyper versatile, modern sounding, multi-channel amp loaded with four individual preamps, useful features, easily accessible via midi and a strong power amp. Hagen covers the whole territory of modern guitar sounds no matter if 6 or 7 stringed'. The 'matching cab from Diezel typically costs here in the UK a massive £950 (or £879 for the cheaper cab) so I did NOT buy one of those I used the Marshall 1960A and an Engl 4x12 Pro cab for some off camera tests. Who knows if the Diezel cab really adds that much of a sound change (often cabs are quite important to the exact tone) but I was NOT going to pay that sort of money for what amounts to plywood and a few speakers from ANY maker. The Hagen remains in production and has been for a number of years, but it looks like this bedrock amp from Diezel will continue forward with the company. From the outset, this amp and chassis looked well engineered - and it was! It's (sort of) reminiscent of a Marshall older style feel but I do believe that's partly due to history and the company's name holders history in amps and maybe modding Marshall's of old. I could be wrong, but that's my opinion. But that's a good thing. Like many German products you could almost say the amp is over engineered. Compared to cheap Chinese amps (at least some of them) this chassis is made to last of that you can be sure and it will stand up to the rigours of the road no problem from what I see externally. Well how does this amp look inside? At first glance from an aesthetics point of view this amp wants to be a Marshall but with Mesa Boogie control wiring (compare the controls with the road king II on this site and you will see what I mean). That control wiring is really good! and with using regular easy to replace pots it makes things easy later on if you get hassles. What's inside though: Custom made input and output transformers (what did you expect?) with a well designed main board with just one daughter board for the I/O and MIDI connections - that's right this amp can be Midi controlled (more on that later). The main PCB is a mass produced board but the quality is good and the layout exactly what you might expect on an amp of this style. It's likely that this board was developed (to this final version) on a computer with the software to do it, and the ability to 'check' the circuitry before even one board is made... that's often the way designers work these days and I would not really call this board an 'old' design, although the layout resembles a number of older amps. The Output Transformer and circuitry is on the right. So it's a pretty standard layout really. What I liked to see is those control knobs and wiring, the back daughter board that could easily be changed out, and the overall level of quality throughout the amp. However, on this board there was a production modification... it's no big deal really, except to say that I have seen loads of amps without this sort of later circuit fix on the board. Electrically it will look the same but aesthetically it looks a bodge. As in many amps you have to completely remove the chassis to carry out 'biasing of the amp' when you change the power tubes. Note the two pots at the top of the image are the adjuster pots. Honestly, this biasing is a pain when you have to remove the chassis for such a simple adjustment. 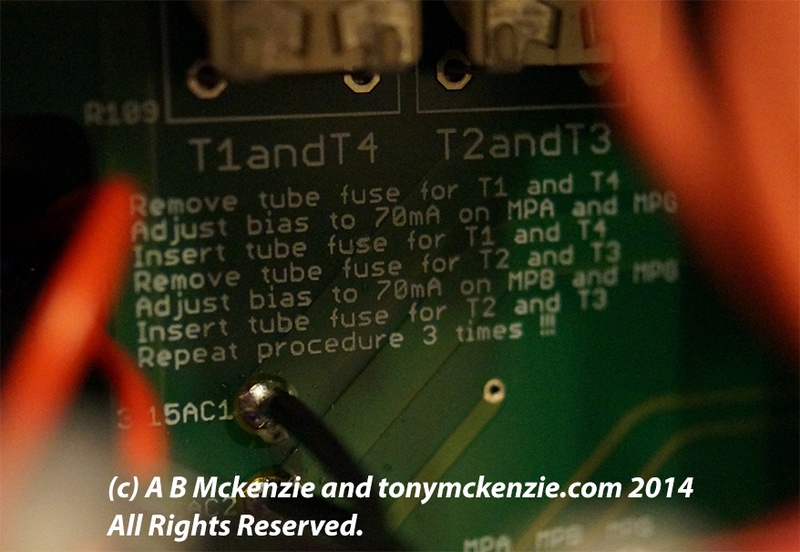 Other manufacturers also have many fixes for the 'bias' adjustment and it seemed a little short sighted that this aspect was not addressed with this amp - its a bit old fashioned to have to remove the chassis for a bias adjustment these days. Never mind - it was this way for a long time and you only really do it if you change the POWER tubes - preamp tubes don't get biased. Gain, Volume, Treble, Middle and Bass adjusters. Channels are like clean, crunch, heavy crunch/lead and lastly lead channel, although to be honest all three channels for lead guitar other than clean will work nicely in rock music. The fact is, that with careful setting that this amp can be used with near enough any style of guitar playing. Each channel does have it's own flavour because each channel (they say) is independent. To be honest most of this is similar to other amps these days like the original JVM from Marshall even..
Clean can go from pretty crystal through to a light crunch type of tone. This crunch goes from light break up through to near enough something you can play lead guitar through - its pretty powerful. This is what most amps tend to have today... a channel that is well driven to start with that can be pushed in to a great lead channel as indeed this one is. Let's call it this, although you could use it for many differing styles and indeed guitars. Its heavy alright, it will sustain for hours if you want that (I did) and the sound is pretty cool. There are also TWO Master controls so you can change things (even better with the MIDI) for differing volumes as needed, a loop switch and a switch to store settings. There's also a mute switch that is useful and around the back of the amp a tuner out... nice. There are no less than THREE effects loops on this amp.. Switchable series, series and lastly parallel, which overall offers a great choice of these important tools for tone. Do bear in mind that the individual channel volumes control what goes out of the loops! It's a good thing to see such an array of loops on this amp as really you can't have too many and although the 'Parallel' loop is less useful in my opinion it still does have its uses from time to time. To check how good the parallel loop is, simply plug in a cable from the output to the input, turn the 'mixer' knob all one way and you should hear nothing... Marshall amps sometimes you will hear about 10% of the signal... not good, but on this amp it was OK and cut the signal out nicely. Now that's one thing I like to see on a tube amp and the Diezel Hagen has it! What's more, it has a 7 pin connector with power so you can power your midi controller right from the MIDI port :) The amp can work in 'Omni' mode where it works on any channel or you can set a specific MIDI channel if you prefer... and the amp can even detect midi channel usage too. The amp can store up to 128 channels for later recall. Its a pity (and not just on this amp) that somehow you could not have 'variable' control over some parameters but alas its not common on amplifiers - but certainly was on the Mesa Triaxis for sure. There is a MIDI THROUGH socket so you can control other equipment, maybe an effects unit or switcher with the same foot controller. I did not buy the floor controller from Diezel... it's pricey (called the Columbus) and I have loads of midi pedals that work fine with this amp anyway. The columbus does nothing any more special than my ground control or indeed the Rocktron Midi Raider so for similar money those are a better choice because of the switching products they make... Diezel does not make that sort of thing. Of course, if you're like me, you might use a Ground Control from Voodoo Labs or maybe the Midi Raider from Rocktron to change things. The actual weight of this amp is 24Kg which means 50 Lbs. in weight... crack there goes my back again (after the JS amp LOL). But actually its similar to many Marshall amps. There IS a compensated out that you can use to PA or recording desk. Speaker outs are just the same as on Marshall amps 2 x 4 Ohm 2 x 8 Ohm or one x 16 Ohm outs that can be configured to accept many different cab types. The Preamp tubes were rather strange for a brand new and very expensive amp. While the first one was good, the rest were what seemed to be very regular low cost Chinese style tubes! I queried this with Diezel and they said that's how it comes - so there! Needless to say the am works with them, but bin them and get some decent stuff in there that is REALLY well matched and checked out properly. The Power Tubes were KT77 JJ brand which worked flawlessly. However in June 2015 (with just hours on these JJ tubes) one of them blew... I saved the amp as I was right by it at the time... but its true to say that the JJ's are NOT my favourite tubes and I'll not buy any more with a record like that. Take care! For the money this amp should be perfect. And to a very large extent it is, suffice the preamp tubes and that nasty looking production mod. But the fact is, no matter how you look at this amplifier, the output tones are quite awesome. The TONE of each and every channel was really good. Had to PAY for warranty transfer? Guys ALWAYS ask me ' Hey Tony, would you keep this amp (or whatever I was reviewing at the time). Some times I would, and sometimes I would sell faster than you can down a McDonalds... On this occasion I did. Its those tones that do it and this amp does sound good. In fact it's up there with some other amps I have like the JS and the MK V from Marshall and Mesa respectively. I can recommend the Hagen for sure, with those small caveats I listed in the not so good section. They are minor and overall this was a very good sounding amp no matter what style you play, but it does sound best with rock tones. Overall I think this is worth my rating of 9 out of 10 because of the few things I did find on the hardware in this amp. But make no mistake that this amp sounds good. Open the video for a larger view in HD. I want to personally thank you for visiting my website that is completely independent so you can trust the reviews I write whether video or otherwise. These reviews cost me dearly so if you like them say so! Its good to get feedback that is constructive. © A B Mckenzie 2014 All Rights Reserved.